As this Spring Break comes to a close (it’s Friday, school starts on Monday) I am a little wistful — thinking about all that I could have done, and all that’s still on my plate to do. But I do that to myself. I don’t take time to appreciate all that I do and stop looking for what’s next. So in this post, I’m going to recount some awesome things about this Spring Break. 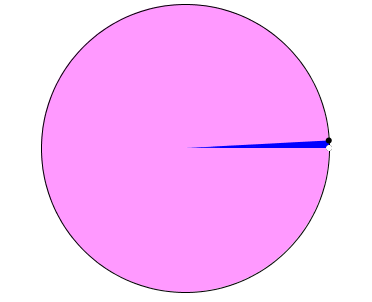 I know I don’t use this blog to talk about my non-school life, but that’s only because it’s only about 1% of my life. So at the start of this spring break, I did something I’ve been dreaming about for years. You see, when I was in college I had a bout of insomnia so I started to listening to Supreme Court oral arguments to focus my mind on something boooooring so I could fall asleep. 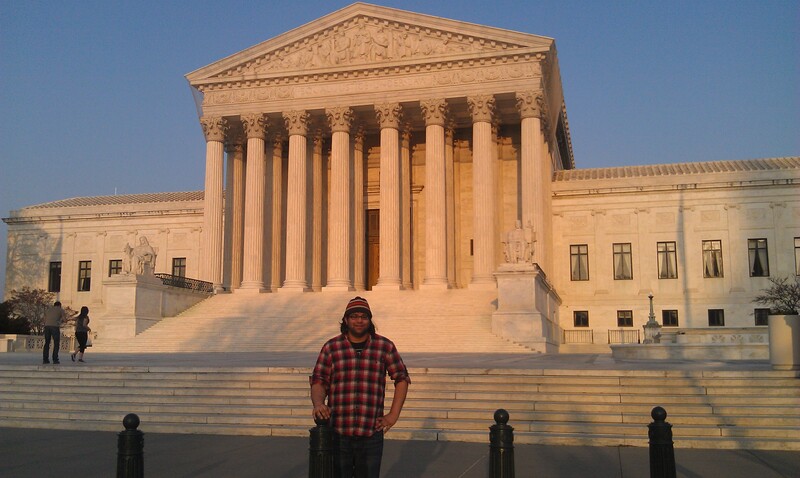 Little did I know I would become a Supreme Court junkie. And so I went with a friend (who teaches history and constitutional law at my school) to Washington DC where I had a glorious time. The night before the oral argument, I invited @rdkpickle to dinner and didn’t get psychopathkilledtodeath. You’ll all be pleased to know that she’s just as personable in person as she is online. In DC, I also got to meet up with two dear old friends who I hadn’t seen in ages, and just in time, because they are moving to Korea for two years, soon. And one high school friend who I consider one of my besties even though we never see each other or keep in touch. He’s that kinda guy. In addition to my trip to DC, I had my sister in NYC for a day, where we ate delicious food, traipsed around a lot, walked the high line, read a bit in Bryant Park, went shopping at the Strand (I didn’t buy anything! ), and then met my parents and family friends for dinner. It was a full and lovely day. Then I scampered to San Francisco for a whirlwind trip. I got to see a ton of high school and college friends, do a bunch of shopping, eat delicious food, watch the Hunger Games, and throw a party! That’s right — one of my best friends from high school just moved back and I convinced her throw a house party — and I invited all my friends. Additionally, and this is going to make all of you jealous, I got to hang out and have dinner with the following math twitter people at Bar Tartine: @woutgeo, @btwnthenumbers, @cheesemonkeysf, @ddmeyer, and @suevanhattum. I only wish we had started earlier. It was totes amazing (@cheesemonkeysf wrote about it). And again, I didn’t get psychokillerkilled. Although when I talked smack about ed researchers, I thought the towering Dan Meyer was going to kill me with his laser stare! 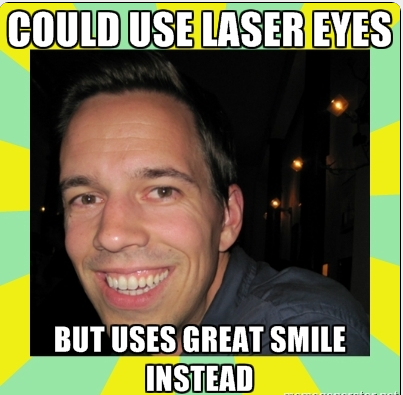 But he is too much of a Good Guy Greg for that. And then I got back, and have basically been doing nothing but watching bad TV and thinking (but not doing anything) about all the work I have to do but haven’t done. I even finished the two seasons of Party Down (amazing, btdubs), and the season of Summer Heights High (also amazing, btdubs). Go me! So even though I felt like that I could have done, all those roads not taken and all that, I think I’ll always feel that way. It’s just the way I am. And I have to learn to appreciate all that I have done, instead of focus on all that I could have done. In fact, that’s probably a lesson for me in teaching. There you go — I have a sickness. Everything is about teaching. PS. I would love to have shown more photos, but I feel weird using photos of people who might care if their photo is out in the world. Dan, he’s probably okay with it. He has a TED talk and all that. I’m not much of a twitterer, but yeah, it was great hanging out with you all. Thanks for introducing me to a great restaurant. “Everything is about teaching” – teachers like you are quintessential models why the word ‘dedicated’ is often coupled with ‘teachers.’ You had a great spring break, thanks for sharing. Wow, what an awesome spring break! Thanks for sharing. My break starts on Thursday and hope it is half as good as yours. I think I suffer from the same sickness, but if you are going to be sick, that is a pretty good one to have. And who says everything is not about teaching? It was great meeting you (and not getting psychopathkilledtodeath). Oh, and I also have the same sickness. I bet I’m the only math teacher in Minnesota whose watched every available episode of Party Down. I hate the end of a break and the pile of work but once you’re back with the kiddos, it’s all better.